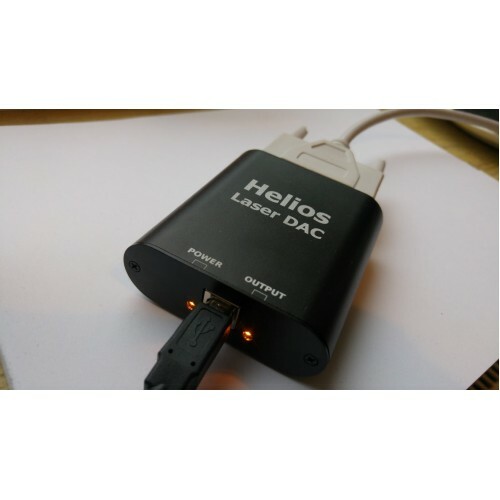 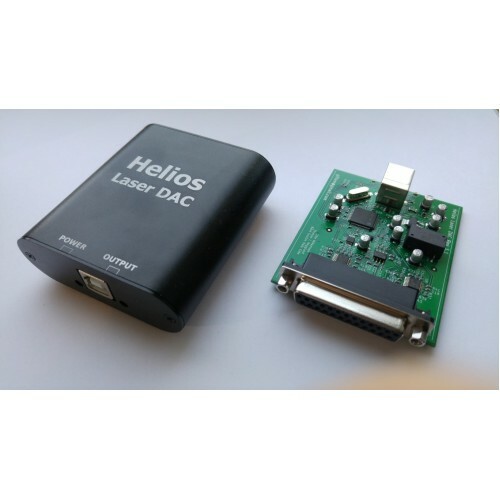 Helios is a laser DAC, used for connecting ILDA laser projectors to your computer. 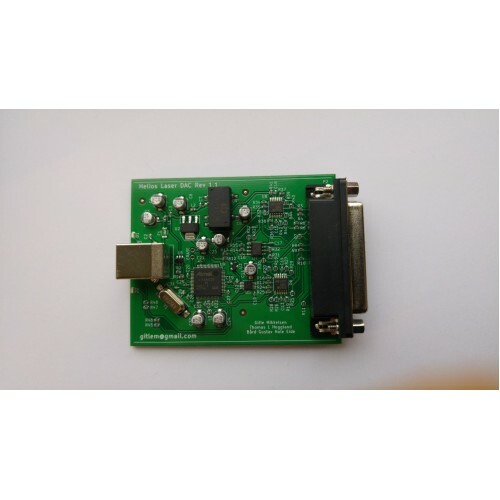 It is low cost and open source, yet features high quality, resolution and speed. It supports every laser projector with a standard ILDA port. 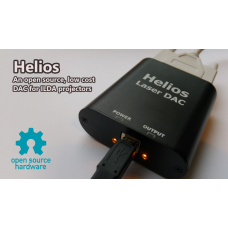 In addition to the DAC and a laser projector, you need an ILDA cable and software. 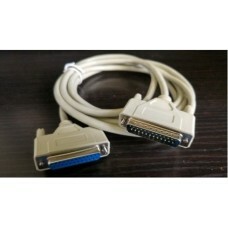 More programs are regularly added. 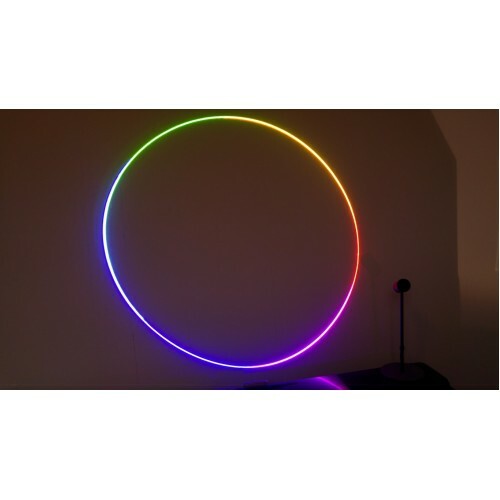 Max sampling rate: 65535 points per second.